Noodles is a reliable dish for potlucks. When my mom learned about the potluck my family was hosting on the first Sabbath she's here, she decided to cook the noodles I brought back from my trip to Philippines last Christmas. Mom cooked this delicious Filipino noodle dish called pancit canton, also known as lo mein or chow mein. The noodles were made using moringa puree. Moringa is called malunggay in Filipino. The noodles were produced in my province by the Provincial Nutrition Office. Place the vermicelli in a bowl. Soak in warm water until pliable. Drain well. Set aside. Wash all the vegetables. Peel the carrots. Cut lengthwise. Then slice. Set aside. Peel the chayote. Cut lengthwise. Remove the stone then cut the chayote in wedges. Set aside. Remove the stringy part of the snow peas. Set aside. Cut the cabbage into shreds. Set aside. Heat the oil in the pan. When hot, add the carrots and chayote. Cook until desired tenderness. Add the snow peas. Stir-fry until they are cooked but still crunchy. 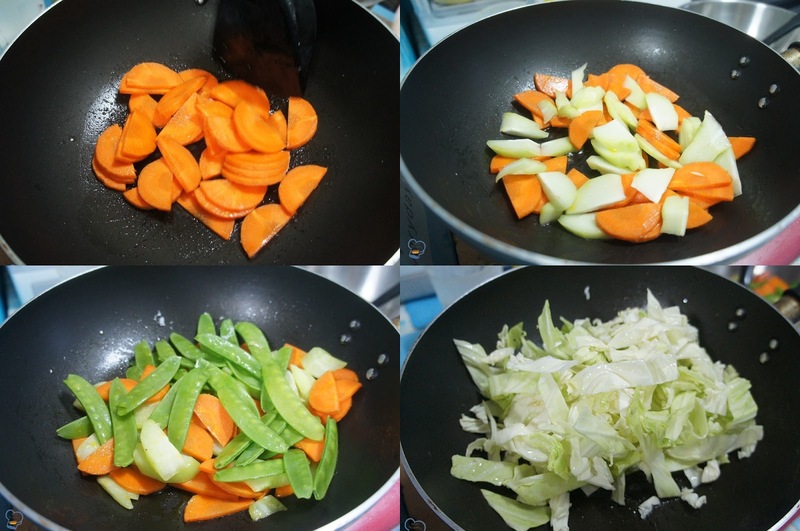 Transfer the veggies into a plate. Set aside. Stir-fry the cabbage for 2 minutes. Transfer into a plate. Set aside. If the cabbage renders water while cooking, do Not throw it. You can add it to the broth later. In the same pan, add a tablespoon of oil. 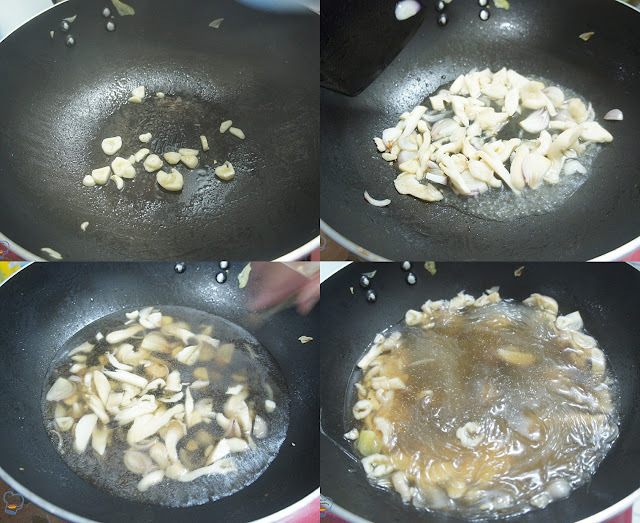 When hot, saute the garlic and onion. Add the shredded oyster mushrooms. Pour in broth. Season with salt and pepper. Stir. Let the broth come to a boil. Add the vermicelli and pancit canton. Stir-fry until the noodles absorbed all the broth. Add the cooked vegetables and tofu. Toss to blend. Marinaya Canton noodles come in two flavors. Moringa and Squash.